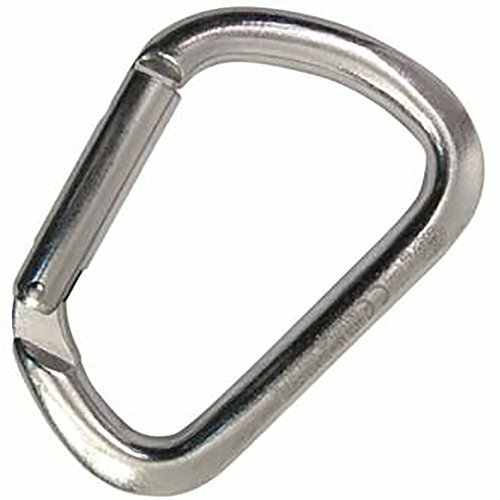 Carbon steel carabiner with straight gate. The X-Large is designed to offer a wide gate opening and a high tensile strength. The particular D shape prevents the rotation of the carabiner and allows to distribute the load along the major axis. Equipped with Keylock system that prevents any snagging on the rope and in the bolts. High quality product completely developed and produced in Italy. Tested piece by piece.